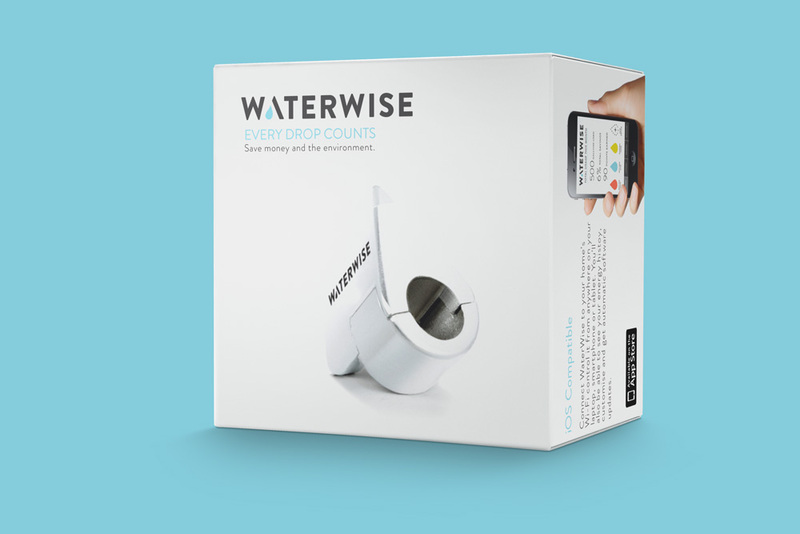 PROJECT : WaterWise is a wireless water meter and app designed to address the issue of water scarcity. In collaboration with Christen Toepel, we set out to create an informative, engaging way for users to change their water habits, save money and lighten their eco-footprint. The scope of the project involved extensive user research, customer journey mapping, wireframing, prototyping, and multiple rounds of user testing, as well as branding, packaging, a responsive landing page, promotional video, and model of the device. 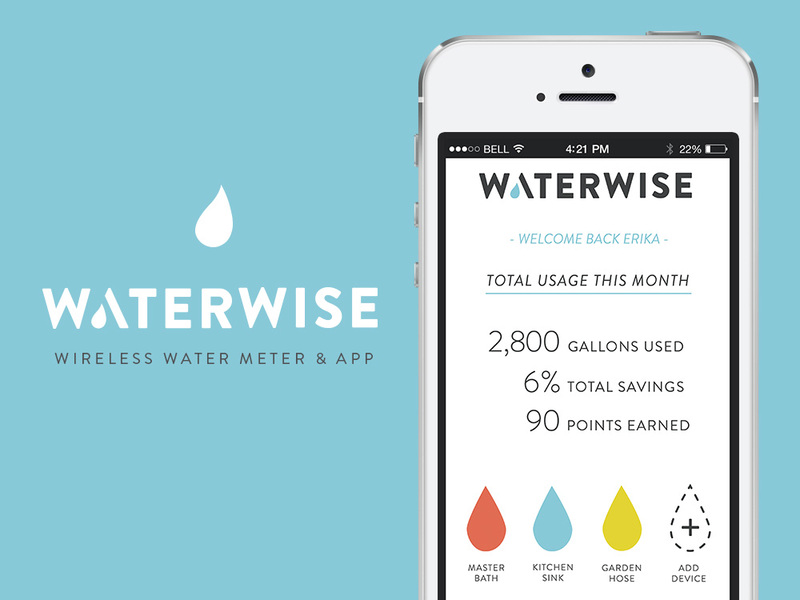 The resulting system facilitates water conservation by allowing users to monitor their consumption, view history reports, set goals, and calculate savings. We also created an integrated rewards system to provide motivation for ongoing engagement. PROCESS: It all starts with a user’s journey. At the onset of this project, we did a lot of research to ensure that we thoroughly understood who our user was and that our approach to design really resonated with them. We conducted in depth research, created personas and mapped out our users journey.